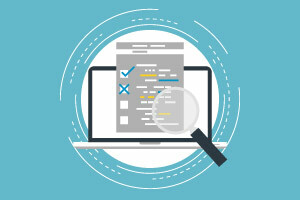 This free software testing course will familiarize you with the principles behind testing software and why software should be tested. By the end of the course, you will fully understand testing processes and be able to identify when to begin testing during the software development lifecycle. The course will also introduce you to the verification and validation processes of testing, and guide you through the most important testing levels. This software testing course clearly discusses the principles of testing software and the methodologies involved in testing. Here, you will learn about the pesticide paradox in software testing as well as the strengths and weaknesses of the software development lifecycle V-model. You will also learn about the fault model and how it identifies the most importants types of faults in a program. You will then be introduced to test cases and the design, planning, and strategies used in a test case. Next, the course will tackle unit testing and what parts of the program it tests, before showing you how to remove bugs from programs. You will then learn how to distinguish between the verification and validation processes in software testing. At every stage, the course is designed to expand your understanding of essential programming concepts and software development life cycles though simple, easy-to-follow lessons. Upon completion, you will be able to describe the different levels of testing software, list methods that can be used to reduce errors in software programs, and describe the pesticide effect in testing software. If you are an aspiring computer programmer or IT developer, this will be a strong (as well as quick and free) boost for you résumé. So, start the course now, and you will be fully up-to-date with the best approaches for designing a test case in no time at all. Having completed this course you will be able to: - Distinguish between the verification and validation processes in software testing. - Describe the different levels of testing software. - List methods that can be used to reduce errors in software programs. - Describe the pesticide effect in testing software. - Describe unit testing and when it is performed. - Identify the main approaches to designing a test case.